Imagine relaxing on the deck with family, friends or loved ones surrounded by bush land, overlooking the pool, while listening to the surf only meters away. You can access the unspoilt Rainbow Beach via a secluded bush track and take a dip in the crystal clear waters! With no 4WD access to this part of the beach, you can relax knowing you and your children have the use of the whole beach, even your family pet can enjoy being off the leash in this area. 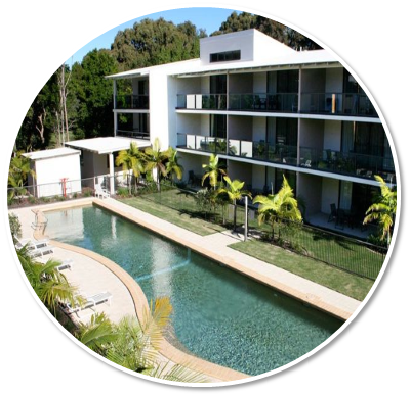 Including all the features and comforts of home, this beautiful air conditioned holiday home is the perfect place to enjoy the beauty, serenity and more that Rainbow Beach has to offer. “Beachcomber” is a modern, spacious 3 bedroom house boasting a large private pool. Located within Rainbow Shores, it is the perfect family getaway. Set back from the road in natural bushland setting, the single-level house is great for those with children, with a large fenced yard area and pool to the rear of the house. 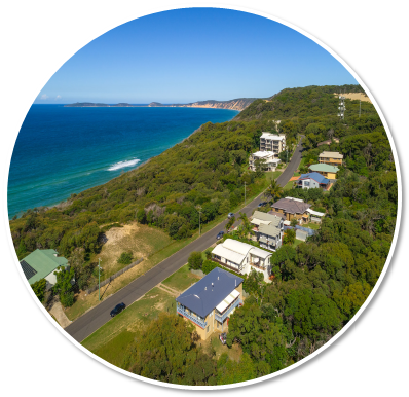 It is a short (300m) walk from the garden gate through bushland to a pristine surf beach. The house is open-plan with ample indoor and outdoor entertaining areas with barbeque, covered deck and shady native trees – perfect for relaxing and enjoying time with friends and family. The house has three large bedrooms and 2 bathrooms, which can comfortably accommodate 2-8 people (suitable for 1-2 families or a group of friends). It is open-plan, low set with air conditioning in the living area and ceiling fans throughout. The house is fully-screened and has black-out curtains/blinds in all bedrooms. BEDROOMS: Master bedroom (sleeps 1-2) has a queen size bed leading to walk-in wardrobe and en-suite bathroom (shower, sink/vanity and toilet). A small TV is in the wardrobe for those who wish to use it. This room overlooks the pool and garden. Twin room: (sleeps 2) has 1 queen size bed and built in wardrobe. Family room: (sleeps up to 4) has single bunk beds and a double bed and a built in wardrobe. LOUNGE AREA: Has the most comfortable sofas in the world! Large sunken lounge with view of the pool and gardens, it has a large TV, DVD and CD stereo player. Air conditioned for your comfort. POOL AREA: Is cool and shady with two sun lounges and an outdoor setting for 8 people. Please replace the covers when not in use. KITCHEN: Modern fully-equipped kitchen with electric oven and cook top; good size fridge/freezer; dishwasher; microwave. DINING AREA: Open-plan dining area with dining table and chairs for 8 people. LAUNDRY: Top-loading washing machine, dryer and sink; (iron & ironing board stored in linen cupboard) and a foldout line at the back of the house. CARPORT: Off-road parking for up to three cars with carport for 1 car/boat. PET FRIENDLY: All pets outside only, no pets are allowed to be kept inside. At no time are pets to be left inside the house while you are away from the property. The back yard is fully fenced with a pool gate to access the beach track. If there is any damage caused by your pet a fee will be charged for repairs. Please clean up after your pet. 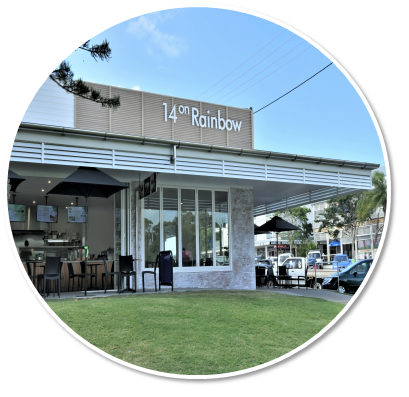 Linen and port-a-cots can be hired at an additional cost from Rainbow Beach Realty and must be returned on departure. A bond of $500 cash or credit card details required on arrival. Failure to leave property clean and tidy and undamaged will result in forfeiting part or entire bond.